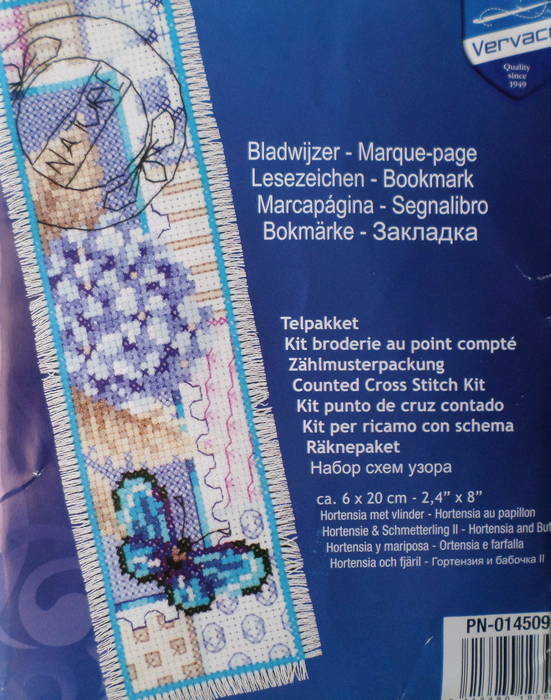 A bookmark kit with a beautiful small blue butterfly. 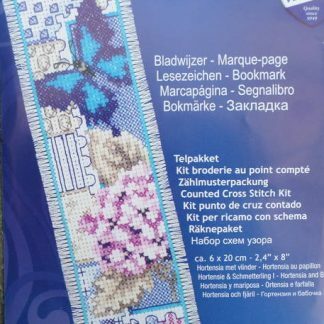 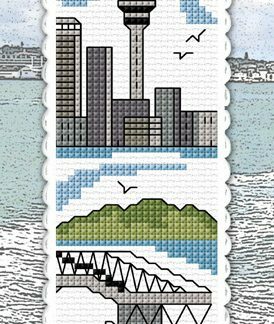 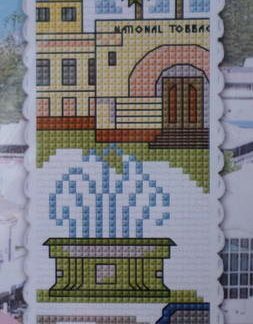 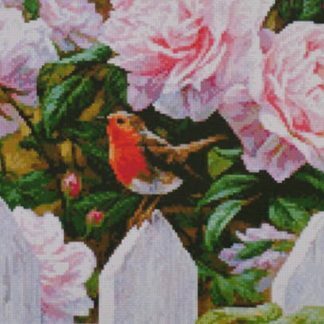 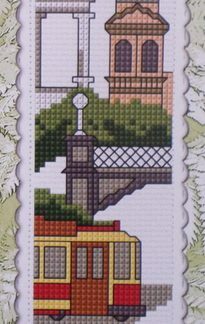 The finished bookmark measures 6 x 20 cm and the kit contains 14 count ivory Aida fabric, cotton threads, a needle and full instructions. 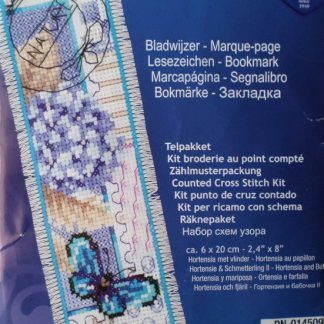 Skill Level: Beginner with some experience.